We all said it. Back in January, do you remember? We all promised that this would be the year we got serious about eating healthier. We know that a healthy lifestyle is important for many reasons. We want to be around a long time for ourselves, our partners and our kids. But for some reason, making that leap from wanting a healthy lifestyle to actually claiming a healthy lifestyle, is hard. Really hard. But the best way to reach any goal is to take small steps. For the last few years, I have been taking those steps. . .usually forward, but occasionally I too, take a few steps backwards and need to get myself on the right path again. I've cut out soda from my diet. I've added a cup of warm lemon-water to my morning routine. I bought a new journal, and I take time to write. Each of these little steps, are a building block to a healthier lifestyle. Changing our diet, is a bit more difficult. That's not something I can do just for me, it involves the other three people in my family. So there are many more steps backwards here, but I still keep working for those forward steps. 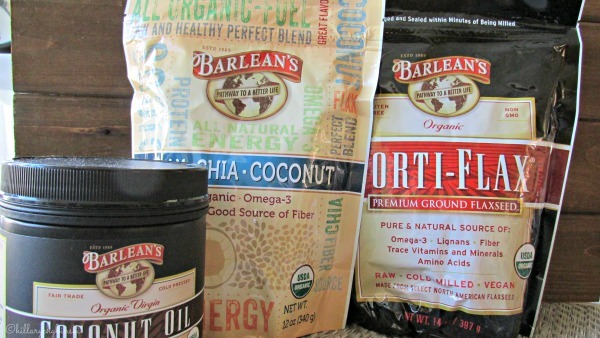 One forward step involves some products I recently received from Barlean's. Have you heard of them? I had not, so when Stonyfield offered to introduce us, I said yes! As a Team Stonyfield ambassador, I am compensated for my time commitment, however, all opinions are always my own!! The Barleans are an actual family. Back in 1970, Dave Barlean quit his "day job" to become a fisherman. As someone who quit their "day job" to become a Blogger, I can appreciate Dave's desire. But Dave didn't just become a fisherman, he designed a method to catch salmon, ensuring that Dave's customers got the very freshest fish possible. As if that isn't enough, his wife, Barb, set up a direct order system for delivering fresh salmon, when she wasn't busy raising four kids. Wow - right? Talk about a power couple! In 1989, Dave and Barb's son, Dave developed a better way to press flax seed, and the family business was truly born. Barlean's are known for their Omega-3 supplements. Omega-3 is a big part of taking those steps to a more healthy lifestyle. But if you read the news, there are problems with Omega-3 manufacturers and distributors. As with so many things in life, we need to do our research and make sure we are confident in the products and companies we choose. Barlean's employs nearly 200 people and is well-known for unparalleled product quality and award-winning customer service and satisfaction. What I love about the Barlean's products I was able to sample, is how EASY it is to make your every day food, healthier. I have taken an Omega-3 tablet almost every day since I got pregnant with my very first baby, 15 years ago. Some of them do not taste good. Some of them are giant and difficult to swallow. Barlean's makes these absolutely brilliant swirls. yes, swirls. Let me tell you, this stuff is the BOMB! Barlean’s Swirl supplements are emulsified utilizing a proprietary technology that turns standard fish oil, flax oil and a variety of other essential nutrients into sweet, delicious smoothie-like supplements that taste incredible.Yes - a healthy way to get your kids to take fish oil. I take mine right on a spoon, but for the kids, I'll mix it into oatmeal or yogurt, an no one is the wiser. You can use the swirls in smoothies, dressings, soups and even desserts! YES - fish oil in Fresh Blueberry Sorbet. 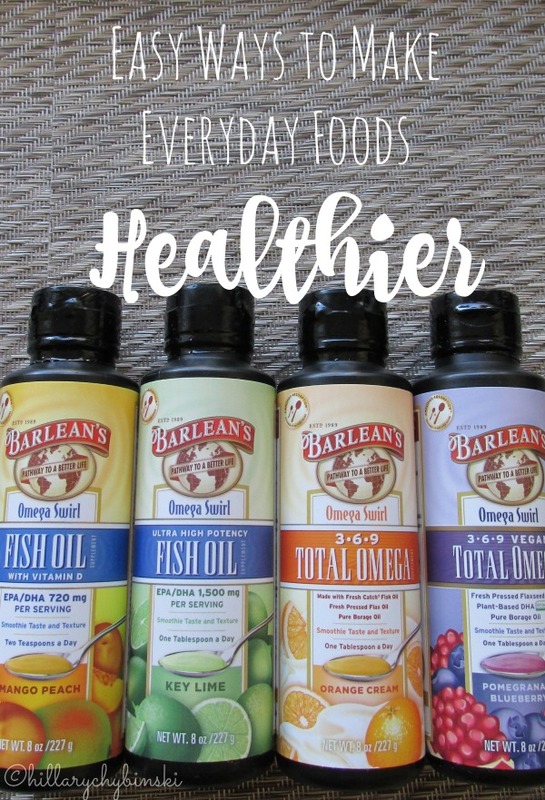 But Barlean's is more than just Fish Oils. They have a whole line of nutritious and delicious products to make your path to healthier living easier! There's Forti-Flax, their premium ground flax seed. This is easy to add to cereals and smoothies, but can also be a great ingredient in your baked goodies as well. 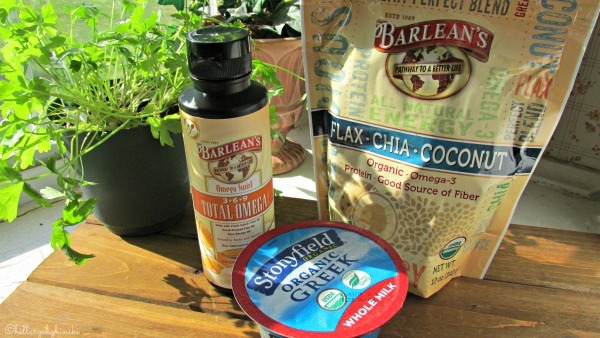 Same goes for their Flax-Chia-Cocnut Blend, which is my favorite to put on my yogurt and mix into my smoothies. Barlean's flaxseeds and flax oils are 100% certified organic and have always been sourced from non-genetically modified crops. I can't wait to try the Barlean's Greens. If you've been paying attention, Greens are all the rage in healthy living right now. I am sure no one in my family is eating the quality or amount of greens they need for optimum health. Barlean's makes it easy with their powdered greens formula. It's easy to add it to smoothies, shakes, juice and more. 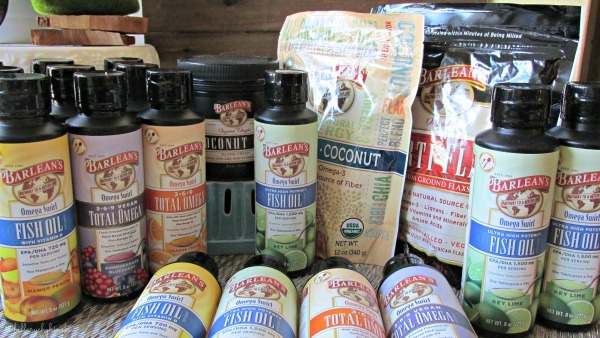 I was completely impressed with the quality and taste of the Barlean's products. Not only that, they made me realize how easy it can be to make my everyday foods healthier. With a swirl or a sprinkle, I can up the nutrition and health of my smoothies, oatmeal, baked goods and more. There's really no end to the creative ways you can incorporate these products into your everyday life. Not only is Barlean's committed to providing quality nutrition to their customers, they are also committed to paving a pathway to a better life. Barlean's provides a significant amount of their corporate profits to those less fortunate. In a time where many companies use "giving back" as a marketing tactic, Barlean's uses it to make the world a better place for all of us. Have you tried Barlean's? What ways do you make every day food healthier? Definitely going to look into this!